Dr. Deandrea Sims has contributed to 1 publications. 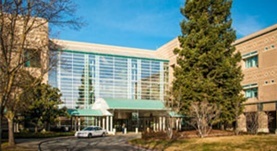 Small community hospitals programs affiliation with university programs; "lessons learned" in 28-year successful affiliation. Mahmoud, A.,Galante, J.,Wisner, D.,Farmer, D.,Sims, D.; J Surg Educ. 2013 Sep 11.